Asbestos Exposure Sites – Charlotte, N.C.
With 775,000 people Charlotte, North Carolina is rapidly becoming a nationwide business hub. As a growing city it is home to many industrial and manufacturing plants that have been around for several decades. Asbestos, a virtually indestructible and heat-resistant mineral, was once used in products such as insulation, gaskets, cement, auto brakes and floor tiles. 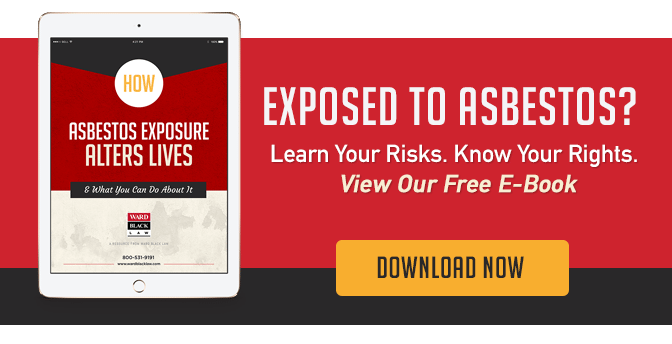 When studies revealed a link between certain cancers (including mesothelioma) and asbestos exposure, several Charlotte, N.C., businesses in several industries (i.e. universities, insulation, medical centers, etc.) were found to utilize these hazardous asbestos-containing materials. This is not only a major concern for their employees, who are now at greater risk of developing asbestos-related cancers, but also for the businesses themselves, as they are now liable for the harm (in many cases, life-threatening harm) to which they have exposed their employees. Asbestosis, a scarring of delicate lung tissue. This scarring can spread through the lungs and cause breathing problems. Pleural disease, causing scarring of the lung lining and can cause difficulty breathing. Are you (or a loved one) a victim of asbestos exposure in Charlotte? Were you employed by any of the companies listed above? Were you exposed to asbestos in the Mecklenburg County area? If so, you may be at greater risk of developing an asbestos-related disease or medical condition. Our team of experienced asbestos exposure lawyers have successfully represented more than 800 people with asbestos-related diseases. To schedule a free case consultation with our asbestos exposure attorneys, call Ward Black today at 336-333-2244 or toll-free: 1-877-256-1214. You can also reach Ward Black Law by email or online inquiry.